Fits Performer & Thunder Series Carbs. Edelbrock Carburetor Fuel Inlet Fittings are available to help make connecting your carburetor fast and easy. 8089 is rated 4.8 out of 5 by 4. Rated 5 out of 5 by Dragracefan from Very easy to locate parts As a life long NHRA fan I always hear the "JEGS" line on the speakers at Texas Motorplex. I recently inherited a 1939 ford coupe street rod from my father and I look forward to using Jegs in the future for parts. 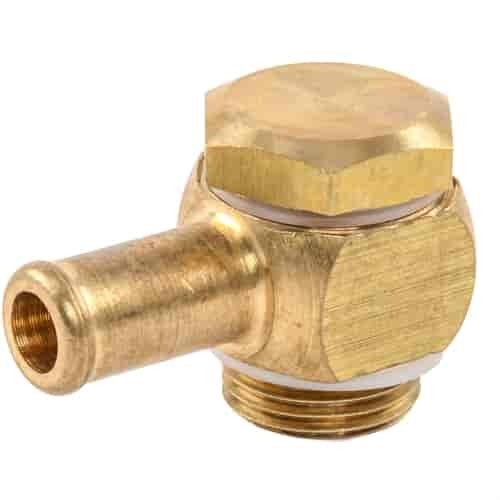 Rated 5 out of 5 by elky86 from super quality this 90 degree inlet fitting worked great, eliminated the problem I had, that the filter did not sit flat on the carb. Rated 5 out of 5 by MakaleiII from super fit I got this fitting to solve the clearance problems that resulted when the carburetor was switched from a Holley to a Edelbrock; it worked fine.